What happens when you add mango to a green smoothie? You get a smoother, creamier smoothie. 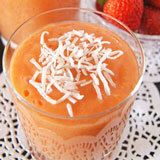 In fact mangos are one of the best fruits to add to smoothies. 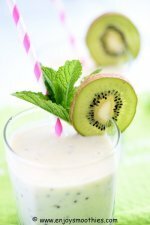 They add sweetness which helps mask the bitter taste of the greens, and they are high in soluble fiber which makes smoothies thick and creamy. Mangos do the same job as a banana, so you can leave the banana out if you wish, or add them in, along with other fruits for extra sweetness and taste. They also keep your green smoothies green. If you want a green looking smoothie you need to add yellow, orange or green fruit. Even when I added some strawberries, my smoothie still came out looking green rather than a yucky brown. You may find you need to add an extra sweetener, and there are healthy ways to do this without adding sugar, such as honey or dates. 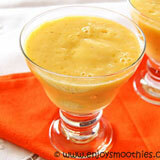 Mango green smoothies are a nutritional powerhouse as they combine two great superfoods. Mangoes and spinach are both good sources of vitamin A and vitamin C, potassium, niacin and fiber. 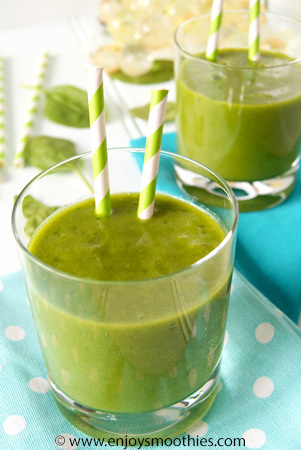 Place spinach, mango, pineapple, coconut and yogurt into a blender. 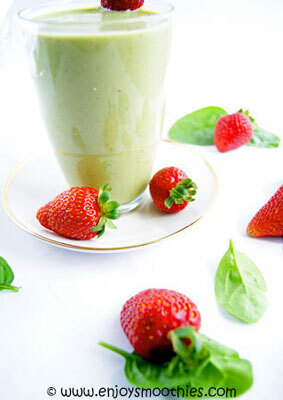 Start your blender on low to break up the greens, then blitz on high until your smoothie becomes thick and creamy. 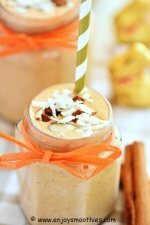 One of the most refreshing smoothies ever. 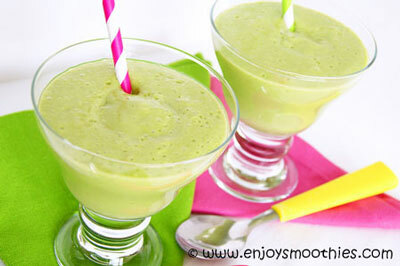 Place the spinach, mango, ginger, orange juice and coconut water in a blender and process until completely smooth. Place a cup of spinach in the bottom of your blender, then add chopped mango, hulled and sliced strawberries, yogurt and almond milk. Blitz on low first, to break up the greens, then turn up to high until smooth and creamy. 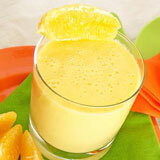 Taste your smoothie and if you need more sweetness, add the honey, then blitz for a few more seconds. Place baby spinach leaves in the bottom of your blender. 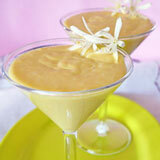 Add frozen mango pieces, pineapple pieces, coconut milk and coconut yogurt. Start blending on low until the spinach leaves and frozen mango pieces are crushed. 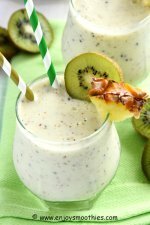 Increase the speed and continue blending until all the ingredients have combined into a beautiful smooth and creamy green thickie.